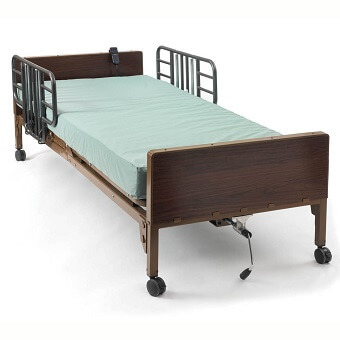 The Semi-Electric Bed is perfect for anyone who needs a hospital style bed at home or in a nursing home. Semi-Electric beds have a motor which is quiet and smooth when operating the adjustment of the head and foot sections of the bed, while the height of the bed is adjusted manually. 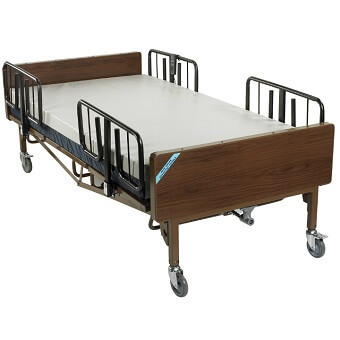 Heavy Duty Hospital Beds can withstand a weight capacity of up to 600 pounds and feature a 42" sleep surface that is larger than a conventional bed. The hand control included with this semi-electric bed provides multiple bed positions, with a split-pan design that operates smoothly and quietly, adjusting your patient into proper position with little fuss.